Many hospital financial executives view clinical documentation improvement (CDI) efforts to improve capture revenue as a purely financial gain for their hospital. This is a perfectly valid reason for pursuing CDI initiatives, as all major investments should have a financial return to the hospital. However, re-examining CDI efforts and changing from a proactive to reactive improvement effort can yield additional benefits to the hospital beyond increased reimbursement. While I am philosophically at odds with chief financial officers (CFOs) treating CDI programs as cash cows or winning lottery tickets, the fact of the matter is all hospital services must positively contribute in some form or fashion to the revenue cycle and clinical documentation integrity initiatives are no different. A byproduct of an effective clinical documentation improvement program is solid reimbursement clearly supported by sustainable sound principles of documentation, emphasizing the necessity for clear, concise, contextually consistent clinical documentation. Unfortunately, CFOs have been conditioned to equate CDI as a simple easy fix to insufficient documentation that prevents optimal assignment of ICD-10 cases, resulting in the “leaving of dollars” on the table in common CFO lingo. The adage of “if it sounds too good to be true, then it probably is not true” applies here. Taking the easy way out almost always leads to achievement of subpar performance and CDI is certainly no exception. 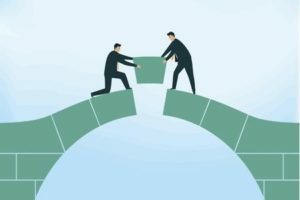 Focusing upon reimbursement as the primary [mantra] of CDI detracts from achieving full potential achievement of successes in CDI that closely align and integrate with the revenue cycle. CDI programs can make a generally positive contribution to the revenue cycle through recognition of its capability and capacity to generate long-term sustainable improvement in the quality and effectiveness of physician documentation. Contrast this with the quick fix transactional repetitive retrospective approach of CDI queries, considered simply a Band-Aid approach to documentation improvement that sorely lacks the real-time engagement of physicians as willing participants. Why exactly has the CDI profession not graduated from and migrated away from the traditional query process, substituting for a more robust process that engages physicians in wanting to learn more about best practice standards of documentation, becoming more proficient in and integrating these standards into their daily practice of medicine? The answer ultimately lies in the design, organization, implementation and expectation of CDI programs in the first place. Effecting positive behavioral pattern changes of physician documentation is not a realistic expectation of clinical documentation improvement programs; instead generating additional revenue through diagnosis capture is the number one priority in most not all programs, acknowledging that there are a minority of programs that exemplify what CDI initiatives stand for, complete and accurate communication of fully informed coordinated care. CDI programs with consulting companies at the forefront perpetuate the notion of an easy fix to insufficient and poor documentation by continuing to promote queries as synonymous with revenue generation. Read the article at: CDI: Is Your Toolkit Well Stocked? As the article states, a whole new level of CDI can be attained with physician buy-in. As physicians already complain about burn-out from electronic documentation of their daily encounters, adding a CDI program to their plate may face resistance. One way healthcare providers can counter this is to arm their physicians and staff with the necessary tools to provide both excellent patient care and accurate and complete documentation of their encounters. One way that hospitals can reduce the burden on clinicians is to eliminate redundant tasks in the EMR. For example, automated data capture systems, such as iRISupply, can provide high quality data by integrating RFID data capture technology directly into your EMR, eliminating the need to have clinicians re-enter supply and implant information into the EMR during hectic procedures. Hospitals and healthcare systems across the US have spent billions of dollars per year over the last decade implementing electronic medical record (EMR) systems across their operations. A lot of the promise of EMR systems for hospitals is the data that they can collect that can be used for a wide range of analyses: cost of care, utilization analysis, population health, clinical effectiveness, etc. “But there is an even bigger prize that an accurate, clinically-focused item master can help to deliver, and that is the key to answering one of the critical questions in healthcare today: what the cost of care truly is. When suppliers and providers have real world evidence of when products work and in what circumstances, that is when quality of care can really improve. It is the bullseye of the triple aim—cost, quality and outcomes. It is good for suppliers; it’s good for providers; and it’s great for patients. EHRs won’t solve this on its own. They need accurate data. And that data should come from an on-demand virtual item master; one that aggregates multiple sources of data, ranging from suppliers to regulatory databases to industry standards groups, into an enriched, consumable state. Further, the on-demand virtual item master must allow integration to a variety of systems via multiple technical protocols in support of numerous business processes. It is the combination of aggregation with delivery to the “last mile” that is key to success for the on-demand virtual item master. The problems that it solves are several-fold and all too familiar to provider organizations. These organizations need continuously up-to-date product data from many sources with a broad range of attribute information in the system. Nurses and clinicians need complete information of products used in the course of patient care, so they are not forever searching Google to get information to load into the EHR. This allows hospitals to document all supply usage for accurate charge capture, while not having to disrupt the item master maintenance best practices they have established for their buying and inventory management processes. Bottom line, providers need a trusted data source, without having to grow its item master, in order to perform total case costing and other key analytics. Taking this down one level deeper, traditional item masters contain only routinely purchased products. Often it is missing many of the supplies that the clinicians need to document in the patient record. At the point of use a clinician then has to stop what he/she is doing, take focus off the patient, attempt to find a product in the EHR item file, and if he/she doesn’t find it, manually enter the information into the patient’s record. Unfortunately, this happens quite often. Clinicians are manually documenting approximately 50 percent of items used in a case, if not more. As the article states, a common roadblock to getting value out of the EMR is clean data. With so many people interfacing with an EMR and entering data, it becomes extremely important for hospitals to simplify data entry as much as possible. Automated data capture systems, such as iRISupply, can provide high quality data by integrating RFID data capture technology directly into your EMR, eliminating the need to have clinicians re-enter supply and implant information into the EMR during hectic procedures. Eliminating these manual requirements can lead to a host of benefits to the hospital: improved patient outcomes, higher revenues and lower costs. As healthcare providers continue to pursue the triple aim, leading hospitals are turning to data analytics to identify major areas for improvement in daily operations. 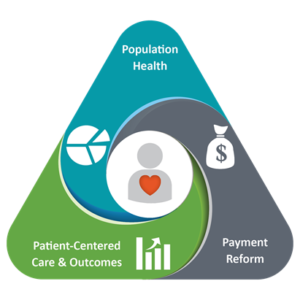 All three of the triple aim objectives – patient experience, population health and cost – can be attacked in various ways by analyzing high fidelity data for trends and patterns. Data without organizational tools is like trying to find your way around a dark room that you’ve never been inside. You can feel your way around using intuition and logic, but progress is slow, and mistakes can hurt you. In healthcare, data is ubiquitous, but it’s also largely unstructured and unanalyzed, as anyone who has tried to interpret it knows. This problem has left the industry in a dark room in terms of using that information strategically—until recently. Developing operational and strategic imperatives from all that data is dependent upon analytics—the discovery and interpretation of meaningful patterns. Analytics, to extend the analogy, is a necessary source of light. To deal strategically with everything from eliminating variation in clinical interactions to reducing overutilization to improving patient outcomes, healthcare leaders need technological solutions to assist clinician decision-making at the care site, where the majority of decisions involving cost and outcomes are made. For these and other reasons, leaders are making critical decisions on the tools that will help them make sense of their data to not only drive smart clinical decision-making, but to allocate scarce resources toward gaining efficiency and competing on cost. Analytics, in short, is critical to demonstrating value, says Richard Vaughn, MD, chief medical information officer at St. Louis–based, 20-hospital SSM Health. 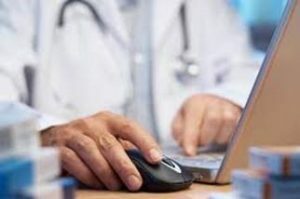 To enable that strategic resource, he adds that the data has to be clean, organized, and it has to connect to the health system’s care delivery platform. “We have to get the data oriented properly and then make sure it’s sitting in the care delivery stack,” he says. Analytics helps make the connection between higher quality and lower cost, says Timothy Sielaff, MD, the chief medical officer at Allina Health in Minneapolis. He says the 12-hospital health system is probably ahead of the curve in using data to find meaningful insights that can translate to higher-quality care, and the virtuous circle that results from higher-quality care is that it’s also less expensive. Also critical to effective insights from data analytics is the ability to attribute data to individual practitioners, says Kathleen Sanford, RN, senior vice president and chief nursing officer with Catholic Health Initiatives, largely because individuals don’t generally accept conclusions from aggregated data as readily as they do from their own data. 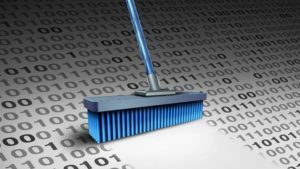 As the article states, both clean data and the right tools are required to have success in any data analytics project. If your hospital has any holes in its data in the procedural areas, consider software solutions such as iRISupply that can automate the capture and documentation of implants and supplies in surgical settings, where hospitals make and spend almost half of their dollars. These systems provide the data and the tools necessary to improve outcomes while reducing costs in procedural areas. The marriage of high fidelity data and cutting edge analytics make iRISupply a worthwhile investment for any provider pursuing the triple aim. With the constant shift in the payor environment, and the continuing consolidation of the hospital market, many healthcare providers are having to search for new ways to cut costs and increase revenues just to stay profitable. There are so many places that hospitals can unlock additional dollars, but where should they start? “Rather than hiring consultants, system executives including [Todd] DeRoo and Ali Birjandi, vice president of performance improvement of Christus Northeast Texas, formed different teams spanning information technology, surgery, cardiac care, clinics, purchased services, pharmacy and laboratory services—each of which had individual financial targets. They brainstormed ideas with all levels of staff to cut costs in areas including revenue cycle, labor productivity, supply chain, length of stay and purchased services. The teams, each of which involved physicians, met regularly and were led by appointed team leaders and steering committees. Ideas ranged from more simplistic supply chain tweaks to the complex task of reducing clinical variation. They replaced specimen bags with less expensive bags supplied by a non-medical vendor, saving tens of thousands of dollars a year. Trinity’s clinic, which included some 630 doctors, renegotiated its contract with Johnson & Johnson for its arthritis and Crohn’s disease drug Remicade to net $800,000 in savings. The lab department identified expensive tests that were routinely ordered but not always necessary. They went through all the lab order templates in the electronic health record and in one instance found about 6,000 unnecessary tests as part of the order set. They used a database to benchmark costs, productivity and resource utilization against comparable providers, which was particularly enlightening for the doctors, DeRoo said. The data motivated teams to reduce utilization, improve efficiency and better manage costs. Over a 12-month span, the system saved more than $25 million—$7 million in labor management, $6 million in non-labor control, $6 million in contract renegotiation and $6 million through shorter lengths of stay. The system produced a double-digit margin last year, which it used to reinvest in technology and four new catheterization labs. Management rewarded teams that generated the most dollar savings, the most ideas and had the greatest physician participation with team dinners and other incentives. They have evolved from one-time projects to embedded practices. The Christus system now employs similar team-based tactics throughout its hospitals in northeast Texas as well as in the San Antonio and Santa Rosa markets. As the article states, hospital and finance leaders looking to drive big savings need strong data to support the difficult decisions ahead of them. Documentation and inventory management software such as iRISupply can help drive significant changes to the operations of your procedural areas, like the Operating Rooms, Cath Labs, Electrophysiology Labs and Interventional Radiology – where hospitals make and spend 50% of their dollars. These systems offer the rare benefit of an increase to your revenues and a decrease to your costs, via optimization of the supply chain and improvement to clinical documentation. Improvements to the supply chain in these areas are accomplished by optimizing inventory levels, eliminating costs of expiration and drastically reducing the administrative burden of implant documentation on the clinical staff. Increasing top line revenues are experienced through the accurate documentation of your implant and supply usage during your procedures, ensuring hospitals are paid what they deserve. Make sure the data in your organization allows you to drive the decisions you need to make to accomplish your lofty cost transformation goals, otherwise the climb will be even harder. For the past several decades in healthcare, inventory has been managed independently from the rest of the business of providing healthcare. When you step back and look at how supplies impact the business of providing healthcare, you’ll see that hospitals can benefit greatly from extending the visibility of supplies to clinical documentation and billing. Charges that were previously going uncaptured, and thus unpaid, can be re-captured and generate significant income that flows straight to the bottom line. Before you say, “For inpatient cases we get paid by the DRG, and we get paid the same amount no matter what items are used,” consider that a procedure may start off with one plan in mind, but change during the actual procedure. For example, a catheterization procedure may start off as a single vessel procedure, but after the surgeon gets a better look at the arteries she could conclude that multiple stents are needed. If the change in procedure type is not updated in the procedure notes, then this can lead to lost revenue. In addition, “we get paid the same amount for a DRG” isn’t entirely true. The next section provides more information on this. The reality of today’s hospitals is that not every item that gets used in a procedure gets documented. As a result, this causes a revenue leak. Why does this happen? First, it’s nobody’s fault. If you work inside the procedural areas, then you already know that some of the best talent can be found here. In short, it’s the nature of the beast. The talented nurses and techs within healthcare do their absolute best to follow proper protocols and document every item, but distractions can arise inside a surgery suite that shift the focus from proper protocols to life-saving procedures. Other distractions like staff shortage, longer work hours for staff, or even a longer complicated case can also add into the mix and as a result some items don’t get documented. Identify one procedure type and look at the average cost of supplies that are used for those procedures over fixed time period. Determine an average cost of supplies for the procedure type. Next look for procedures where the total cost of supplies is less than the average. Procedures where the total cost of supplies falls way below the average could be a sign that something didn’t get documented. At some hospitals, as items get documented for a procedure, inventory levels are also decremented. If an item doesn’t get documented or decremented, then the inventory counts become out of sync with what’s on the shelf. If you need to do a physical count (or cycle count) before reordering items, then this could be an indicator that not every item is being documented in a procedure. Documentation and inventory management systems such as iRISupply don’t require staff to scan barcodes or push buttons when surgical staff take an item or return an item. These steps are eliminated using a simplified work flow powered by RFID technology. 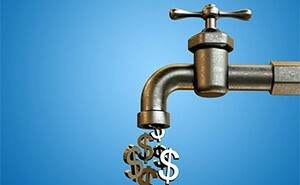 When distractions arise during procedures, procedural areas can rest assured that these systems are capturing activity and preventing revenue leaks. Every item that is used during a procedure is automatically captured and electronically documented using RFID technology. Electronic documentation includes: who (which staff member), took what items (catalog #, serial #, lot #), and for which patient. Charge capture is maximized and documentation is improved. Generally, hospitals can agree that there is some level of non-compliance in staff not documenting item usage, but how much varies and is often under estimated. The Journal of American College of Radiology (JACR) did a study on the impact that iRISupply had inside 2 surgical rooms over a period of 10 months. What JACR discovered was an increase in charge capture of 20%. This means that they were only getting 80% compliance from surgical staff with a barcode based solution. The JACR study concluded that this 20% increase in charge capture resulted in an additional $2.1 million in charge capture which led to an additional $750,000 in revenue. To get properly reimbursed for a surgical procedure, you must be able to prove through electronic documentation that the procedure being billed matches the work performed. If you can’t prove it, then you may not get paid for it, or may receive a reduced amount. Government programs such as Medicare and Medicaid have been reinforcing this policy, and have notified hospitals that claims submitted without documentation that supports the charge will be contested or denied. This makes complete sense. If you are requesting payment for a procedure, then you should be able to prove that what you did equates to the payment amount. However, this can be challenging for procedural areas. This requires surgical staff to accurately document each procedure (i.e. what was used, changes in a procedure, etc.). This also requires surgeons taking the necessary time to accurately document what they did in a procedure. The procedure notes and physician notes need to support one another. Why is it challenging for surgical staff to accurately document a procedure? In the previous section, we discussed the distractions that can occur for support staff during the procedure. So why then is it challenging for surgeons to document a procedure? In a perfect world a surgeon should document the procedure immediately after, but that isn’t the way it typically happens. Time for surgeons is generally in high demand, and sometimes they get pulled into other procedures to advise or they are booked back-to-back. These activities add up and the documentation gets pushed to later in the day, or even week. Remembering the details of a specific procedure after performing other procedures then becomes a challenge for surgeons. For surgical staff, they currently document supply usage during a case manually. Having the supplies documented electronically over to the electronic medical record and other information systems would save surgical staff time, mental resources of having to remember, and eliminate any human-error in documenting what items were used. For surgeons, imagine if you had a report with a chronological list of supplies that you used in a procedure. This usage report would serve as a roadmap to help recall the details of the procedure. An Interventional Radiologist at a leading academic medical center commented, “Sometimes I use so many devices, I can’t remember what I used and the sequence.” This roadmap report provides insights for surgeons that help them recall the details of the procedure. In addition, this same Interventional Radiologist commented that iRISupply increased the speed for completing documentation because it enabled him to copy/paste information from the report into the surgeon’s notes for the procedure. In the previous section we said, “We get paid the same amount for a DRG isn’t entirely true.” A DRG is meant to be a mechanism for quantifying the cost for performing a certain type of procedure. In some ways, a DRG equates to the average cost for performing a procedure. There are exceptions in procedures where it takes more surgical resources to perform a certain type of procedure due to the patient requiring more care. Thus, there are 3 variations of every DRG to accurately reflect how much in surgical resources were needed for a given patient procedure. Each variation has a different average cost associated to it. 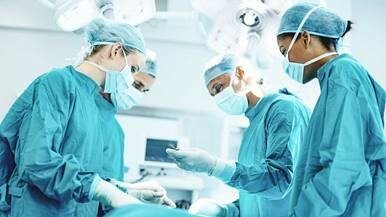 The more care that is required in a procedure should translate to more money received by the hospital for a procedure. The key to driving higher reimbursements is accurate documentation. If a surgeon has access to a roadmap of information that can help to recall the details of the case, then this can help improve documentation that can drive higher reimbursements. Medicare and Medicaid created a Case Mix Index (CMI) score to help properly reimburse hospitals for services provided to inpatients (CMI doesn’t apply to outpatients). The CMI is an attempt to measure the resources needed to provide proper care for patients. An article from Health Leaders Media titled “CDI Programs Drive Up Case Mix Index, Revenue” states that, “a higher CMI means more reimbursement dollars for providing care because it indicates that a hospital is treating a sicker patient population. Increasing the CMI hinges on having clinical documentation that accurately reflects the severity level of patients’ conditions. Without thorough records, hospitals can miss out on substantial revenue”. CMI and its measurement can be a complicated topic requiring spreadsheets just to understand the basics. CMIs can be set at the DRG-level and also at the hospital-level. The end result that hospitals need to keep in mind is that the smallest improvements made to a hospital’s CMI can result in much more revenue for hospitals. Each case where CMI is maximized results in correspondingly higher reimbursement dollars for all future cases. Alternatively, if CMI is not maximized, all future cases will be reimbursed at a lower rate than the hospital deserves to be compensated at. All hospitals are aware of this, though only some are keenly focused on CMI as a strategy for improving revenue. The #1 way to improve CMI is through better documentation by staff. Many hospitals have invested money in creating a new group of personnel often referred to as Clinical Documentation Improvement (CDI) specialists. CDI specialists review documentation for accuracy and identify gaps or descriptive wording in the documentation that can help bring in more reimbursement dollars. In seeking maximum reimbursement for procedures, all the information needs to be present (including what was used in a surgical procedure). As we discussed in the previous sections, supply documentation and management software maximizes charge capture and helps surgeons recall the details of a procedure. This helps fuel better documentation which enables medical coders to seek higher reimbursement for procedures. All of this leads to improved CMI scores. Inventory for a procedural department is their biggest non-labor cost and takes great effort to manage. As mentioned before, supplies have been isolated from the rest of the business of providing healthcare. Breaking down isolated silos and opening up the visibility of which supplies are being used can help increase procedural revenue and also help hospitals determine their cost for providing care. If you would like to learn more about CMI, then please check out this YouTube video. As discussed in a recent article, recalled medical devices continue to be a patient safety and financial concern for hospitals and insurers. A recent study by Medicare estimated that over a 10 year span, they spent over $1.5 billion on surgeries and follow-up for over 73,000 patients implanted with one of seven defective heart devices. With the findings of the audit now widely publicized, CMS is reviewing whether or not to include a unique 14-digit identifier to hospital billing forms. “Such a move would not only help Medicare track cardiac implants, but also the make and model of millions of medical implants on the market from cataract lenses to hip and knee replacements — especially since joint implantations are the most common hospital procedures performed under Medicare. The vast majority of medical devices in this country are safe and effective, but when they fail, the consequences can be dire. Some years ago, malfunctioning defibrillator wires gave patients unnecessary, ferocious shocks to the heart. In another incident, metal-on-metal hip joints sent tiny, toxic shards into patients’ bloodstreams. Procedures to replace flawed implants often expose patients to further surgical risks and the danger of infection. For example, as the huge baby-boom population ages, the need for devices that save lives and preserve the independence and quality of life for the elderly, from cardiac stents to replacement knee joints, will only increase. The device code data could track millions of devices over years of use, allowing researchers to tease out trends that could lead to better designs for devices and help doctors and their patients choose the best course of treatment for each individual. The problem is that although manufacturers began to assign codes to medical implant packages in 2015, there is still no place in the Medicare claims form to record them — an omission that could, and should, be corrected soon. Prescription drugs are already identified in claims forms, which help researchers analyze the safety of medications. If device identifiers were recorded, those digital records could be found in the insurance databases. Problem devices could be identified and recalled much more quickly to prevent additional harm. The agency that runs Medicare endorsed adding device identifiers to the claims form more than a year ago, as have an influential board of Medicare advisers and the Food and Drug Administration, the federal agency responsible for ensuring medical device safety. Health plans, hospitals, physicians, and public health advocates also support adding the information. Meanwhile, the public-private committee that recommends revisions to the Medicare claims form is taking comments on its recommendation to add a field for device codes. Once the committee acts, and Medicare adopts the change, it can be put in place. It appears that the mandatory tracking of UDIs at the hospital level will come sooner rather than later, even if this particular initiative fails. In order to get your hospital ready for tracking UDIs for each implant used, consider a system like such as iRISupply, which leverages RFID technology to provide a simple, user-friendly way to document UDIs to the electronic medical record and billing systems, immediately find out the recipients of recalled devices, and locate any recalled devices you currently have in stock. Hospitals continue to focus on clinical documentation improvement (CDI) efforts to capture revenue that they may be missing today. With the healthcare payment market continually in flux, not a dollar can slip through the cracks with the narrow margins that most hospitals are operating at. Having a robust CDI program is one way hospitals are attacking deficiencies in their revenue cycle by making sure their documentation is accurate and defensible, and supports their case for maximum reimbursement. “The challenge always has been documentation and the competing priorities for physicians,” said [Denise] Johnson, [vice president of HIM integrated services at nThrive]. “They have lots of individuals approaching them, around documentation and CDI. What we’re seeing too is they’re also being queried for information from the coding team still. Then there are the quality metrics that the quality group is focusing in on. And you’ve got case management also looking at them from a documentation standpoint. In some ways, it feels like they’re getting it from all sides. “So I think one of the challenges organizations are facing today is really how to pull all of that together in a collaborative way in order to maintain that physician engagement without all of the alert and query fatigue that they experience,” she said. So what are the keys to getting physicians on board with CDI, communicating its importance without badgering them into annoyance? Alerts – real-time notifications to either the clinician or the CDI team, depending on the technology, are another useful tool, when used judiciously, to help make sure “you’re getting it right the first time,” she said. A recent study by the Advisory Board Company found that the average 250-bed hospital in the US lost between $4.7 and $11.3 million in 2016 from revenue loss in the midcycle. Advisory Board defines the midcycle as the revenue cycle functions that happen between patient enrollment and the back office – namely documentation, clinical documentation improvement (CDI) and compliance. Payers are increasingly linking reimbursement to quality. CMS has set historic payment targets for the coming years, demonstrating a strong commitment to fee-for-service alternatives. In 2016, 85% of Medicare payments will be tied to quality, increasing to 90% in 2018. Commercial payers are also starting to look at quality data. More and more commercial payers are using their own data or Medicare data in contract negotiations for fee-for-service contracts. Even executives who already see the tie between documentation and financial performance do not capture as much revenue as they could. Hospitals are struggling to optimize documentation for DRG contracts simultaneously within pay-for-performance. In the quest to improve documentation to capture DRG-based reimbursement, it is easy to forget about those penalties. But, they can be as severe as revenue loss from DRG-based contracts. For example, two thirds of acute-care hospitals in the Medicare Pay-for-Performance program saw a negative impact in the 2015 fiscal year. Even worse, among those adversely impacted, nearly 40% encountered a financial loss of more than $250,000 – and almost 10% saw losses of more than $1 million. Despite this growing emphasis, many hospitals struggle to adequately capture the quality of the care they provide. Activities in the midcycle can have a significant impact on your quality scores. Quality is measured based on what is written in patient’s charts and ultimately coded. If that is not accurate, quality-based payments suffer. You need to have a strong query process to catch errors retrospectively, plus physician education to prevent errors proactively. The latter is particularly important, since teaching physicians to document better can reduce workload for increasingly strapped CDI programs. You can’t improve your midcycle performance if you don’t know what your performance is. The better your understanding, the more you can do to proactively fix midcycle problems and capture full reimbursement. However, one of the biggest impediments to measuring midcycle performance is seeing all the data together in one place. Few hospitals have a term for their “midcycle.” Even fewer have tools to consistently monitor it. You may have a CDI workflow system or a post-payment audit tracking system, but you also need a way to measure how CDI impacts post-payment audits. In addition, you need to understand your current performance from a quality perspective. We recommend that you start by assessing your standing on specialties likely to come up as carve-outs in your contracts. Payers are increasingly likely to scrutinize the quality of those services during negotiations. In order to keep a close eye on your midcycle activity, we recommend creating a comprehensive dashboard that integrates both finance and quality metrics and allows you to see all of these metrics quickly and in one place. Executives should check these metrics regularly and should be able to compare performance month over month and year over year to assess both where the organization is doing well and where to focus additional resources. 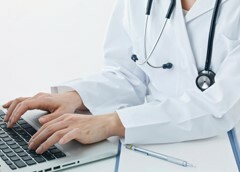 As the report states, “inaccurate or insufficient documentation means that coders cannot adequately capture the acuity of your patient population or the quality of the care you are providing, exposing you to a greater risk of audits and decreased reimbursement.” In order to capture every dollar owed to them, hospitals must make sure their documentation is always accurate and complete. If your hospital has any holes in its documentation program, consider software solutions such as iRISupply that can automate the capture and documentation of implants and supplies in surgical settings, where hospitals make and spend almost half of their dollars. These systems can reduce the documentation burden on clinicians to allow them to spend more time with patients, while ensuring the hospital is getting paid every dollar that it has earned. 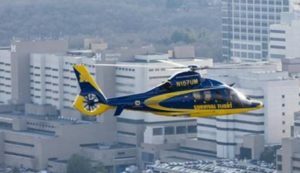 University of Michigan Hospitals and Health Centers (U-M) in Ann Arbor, Michigan is one of the nation’s top medical centers, and was recently named the #6 hospital in the United States according to the 2016-17 Best Hospitals Honor Roll rankings by US News and World Report. As the main medical campus of the Michigan Medicine health system, U-M has an established reputation as a center of cutting-edge research and premier patient care. U-M has a total of 1,000 patient beds and performs over 54,000 surgeries annually. This activity level requires the Operating Rooms at U-M to have an efficient and well-organized supply chain in order to keep all of the necessary supplies and implants in stock for all of their procedures. U-M has turned to iRISecure software and smart cabinets from Mobile Aspects to help improve its tissue management practice across its facilities in Ann Arbor. U-M’s primary concerns with its tissue tracking systems was a lack of standardized oversight. Sandy Rickelmann, the current Supply Chain Analyst for tissue, has seen many different processes and protocols across her 23 years of inventory experience. As Michigan Medicine’s surgeons requested additional, more varied types of tissue increased they became aware of the need for a more regulated approach to tissue management. Tissue is highly regulated by both The Joint Commission (TJC) and the US Food and Drug Administration (FDA). They require strict oversight of all tissue products, including keeping a detailed log of the chain of custody of every piece of tissue that enters the hospital. Ms. Rickelmann noted that U-M staff are required to document all usage of tissue and related supplies directly into their GE Centricity documentation system. “Given the importance of tracking each piece of tissue to ensure appropriate charges, the decision was made to centralize the storage and to automate the tracking through Mobile Aspects.” explains Ms. Rickelmann. U-M found the combination of RFID-based workflows and secure, smart storage cabinets to be the ideal fit for their needs. They knew they needed secure storage cabinets to replace the current honor system for removing tissue products by their staff. They also knew they needed to have a better way to monitor the entry of data going into their Centricity system in order to capture missing charges. U-M turned to Mobile Aspects to provide their iRISecure tissue tracking software, tissue storage cabinets and refrigerator locks for their main adult hospital tissue in 2008. Since that time, they have expanded their usage of iRISecure to cover 4 tissue areas across their Adult and Children’s hospitals. Since starting to use iRISecure, U-M has identified some major improvements in managing their vast tissue inventory of over $6 million in products used annually. Since deploying iRISecure in 2008, U-M has seen increased accountability as the number one benefit of implementing the new tissue tracking system. iRISecure has a built-in Tissue Tracking report that is purpose-built for these surveys by TJC, the FDA or state Departments of Health. This report discloses the chain of custody for each tissue that has ever come into a facility and also records pertinent information like temperature and packaging details. With this data at U-M’s fingertips, passing any inspection is greatly simplified. Along with other measures taken, iRISecure helps to ensure that all billing and documentation details within Centricity are accurate. Ms. Rickelmann believes there is significantly more ease in ensuring a 100% accuracy rate when it comes to tissue billing and documentation with the systems they currently have in place. Having built-in intelligence in their iRISecure system gives Ms. Rickelmann actionable data to use to streamline her tissue management operations. “I appreciate the email reports that tell me which tissue is going to expire within the next 90 days. I am able to relay the information to service leads and surgeons regarding tissue that’s available for immediate use.” With the increase in detailed information around expirations, Ms. Rickelmann has seen her product expirations drop by over 90%. Recalled medical devices continue to be a patient safety and financial concern for hospitals and insurers. A recent study by Medicare estimated that over a 10 year span, they spent over $1.5 billion on surgeries and follow-up for over 73,000 patients implanted with one of seven defective heart devices. With such a staggering sum spent on just 7 out of thousands of recalled devices nationwide, recalls are proving to be a very expensive problem for US healthcare. “Manufacturers say it would cost additional time and money with no guarantee of benefit to put the device serial numbers into insurance claim forms. Consumer safety officials and auditors argue the move would improve patient safety and enhance accountability. To patient advocates like Lisa McGiffert, director of the Consumers Union’s Safe Patient Project, omitting device serial numbers from an insurance claim would be like buying a car without getting its VIN number. …John Boujoulian, senior auditor on the Medicare inspector general investigation, said the lack of UDI numbers in Medicare claims makes it harder to locate patients affected by medical device recalls. But as it stands, Medicare would have to do a detailed review of medical records to find the UDIs to track down devices that it pays to have implanted or replaced. But going through the detailed medical records of patients is exactly what the medical device industry advocates. Industry officials say the codes are too long and varied to put into insurance claims. AdvaMed says hospitals would have to invest in new bar code scanners and come up with ways to accurately transmit the data to payers. The American Medical Association says reporting UDIs in insurance claims would be cost prohibitive and insufficient for detecting widespread problems. Organizations including Centers for Medicare and Medicaid Services and the Medicare Payment Advisory Commission have supported adding a short section of the UDI known as the “device identifier,” or DI, to Medicare claims forms. The full UDI, however, can run to 75 characters and comes in three different formats used by three different standards organizations. The full code contains not just model numbers, but batch and lot numbers, dates of manufacture and other information that would identify which specific devices are affected by problems. AdvaMed Associate Vice President Zach Rothstein, who advocates on medical device regulation involving the FDA, said researchers who use just snippets of the UDI codes may draw inaccurate conclusions about devices that could negatively affect both medical device makers and patients. Advocates say patient safety would benefit from the added transparency, dismissing arguments that it’s too difficult or expensive. Ben Moscovitch, manager, health information technology at Pew Charitable Trusts, noted that the FDA’s Sentinel program to root out problems with prescription drugs is based largely on claims data, which incorporates 10-digit National Drug Codes. We all have a duty to patients when it comes to tracking them down in the event of a recall. The insurers are having enough problems finding patients affected by recalls, and patients themselves have no information available to them to know if implants they received are subject to a recall. The hospital must lead the charge by having access to accurate and timely data regarding recalled medical devices. 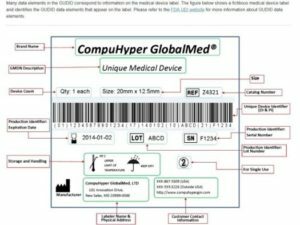 If performing an analysis like this is a challenge at your hospital, consider a system like such as iRISupply, which provides a simple, user-friendly way to immediately find out the recipients of recalled devices, and also gives you a record of all recalled devices you currently have in stock.